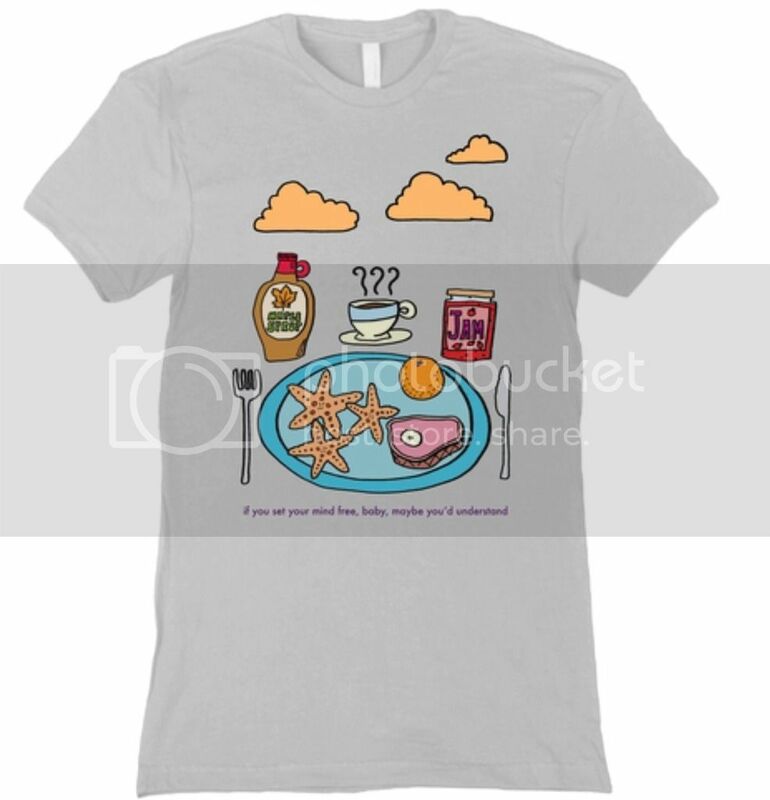 Forums > Prince: Music and More > Prince t-shirts? When will retail stores start selling Prince shirts? I went to the mall in March and they already had David Bowie shirts in Hot Topic and similar stores. Will they even make any? I'm gonna start saving money to buy P stuff but you all know those eBay prices are batshit crazy! So far, no retails in my area have any Prince merch available except for magazines and "The Very Best of" CD's. "I was here in the beginning and I'll be here forever more"
Ty I know ebay ..
ETSY (which I have only discovered recently) has some amazing ones!! Even some relatively cheap tribute ones that simply say "This Dove is Crying" and the dates 1958-2016. I purchase two in diffeent colour combinations (purple and gold, red and black) and can't wait until they arrive. They were $8-10! I appreciate that because it doesn't feel like someone going after a money grab, IMHO anyway. But I also keep an eye out when I am at HMV or Hot Topic as like you say, I anticipate something showing up soon. I bought this one on Etsy. I'd say that's the best place to look right now. Unfortunately the money likely just goes to the designer/creator, which I know upsets some folks regarding Prince paraphernalia. I've been keeping my eye on hot topic. They had a Purple Rain shirt yeeeears ago. I know they'll bring some in eventually. But yes, as another poster said, Etsy is a good one. I just bought a pretty simple love symbol tank from there. I love etsy because majority of all that stuff is one of a kind. I got this one from Etsy recently, and I love it because it's creatively done using S&C as inspiration. I highly recommend Etsy for both Prince and Bowie. But don't start your first browse late in the evening, like I did my first ever time on Etsy - you'll end up on there for HOURS - SO MANY FUN THINGS! I want Prince shirts to be available at retails because I don't want to risk ordering something online that might not fit me, flatter me, or be made of cheap material. I will check out Etsy anyways, it sounds pretty cool and it would be great to have a unique piece that nobody else will make. Im tempted to sell my Purple Rain Crew T-Shirt. I don't know what's worse, the seller or the people buying it! Smh. I've also seen incorrect lyrics. A lot of "Let's get crazy"
I used an app called Snaptee to design my own. So far I made a Dirty Mind tank top for the summer. Just came in the mail yesterday. Awesome! How's the quality? I might be interested in doing the same. Save up those pennies...you're gonna need them soon. Buying from folks who are exploiting the man...his image, his symbol, and his music. Amazon has a lot of them. I purchased a hoodie that says "LONG LIVE PRINCE". Each time I've worn it, I received compliments. It is really nice. However, the vendor stopped selling it because they didn't have the rights to sell it. Glad I got mine when I did. Anyway, check Amazon as there are tons to choose from. Agreed. 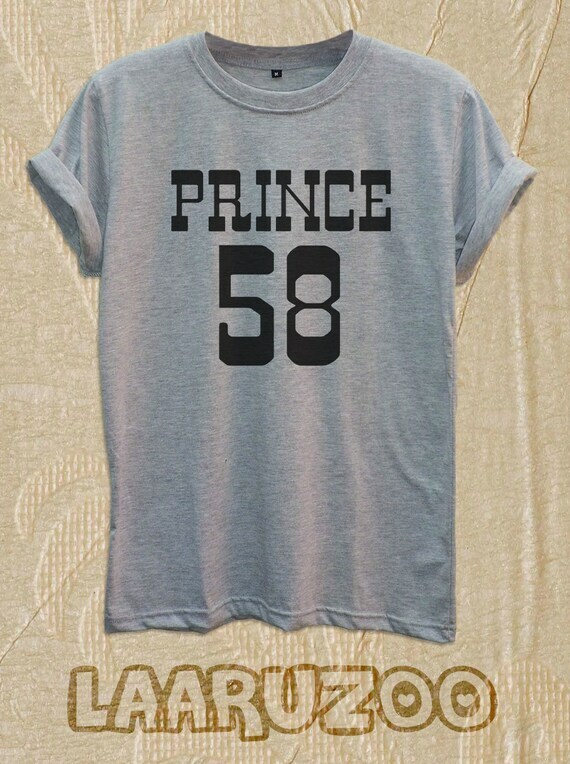 Amazon has LOTS of Prince T-shirts. RIP Prince. We will NEVER forget you. Thank you so much. We are gathered here today 2 get through this thing called: 'Life'." I know. I've got 3 of shirts, but I bought them when I went to see his concerts. Like real fans did. Oh, thanks for defining for us what a "real fan" is. I bought a pair of tshirts at the Auckland shows, Piano and microphone tour, the ones with his head, the moon and piano. A black one and a white one. They are holding up well as I wear them nearly every day. I am wearing the black one now. I also have a yellow welcome to Australia one from 2012, which is quite worn out now. I also got a nice one from a couple of fans from Minneapolis who I met at the shows. It has a line about purifying yourself in Lake minnetonka. Just head to Harlem on a Sunday. Every street vendor selling all manner of Princely things.